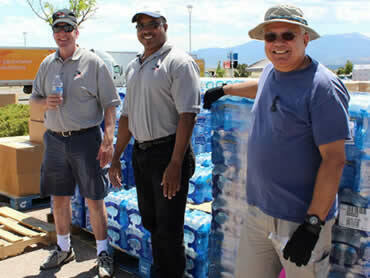 We are not just committed to the success of our customers; we are committed to serving our communities. It’s one of our core values and we strive to live it every day. 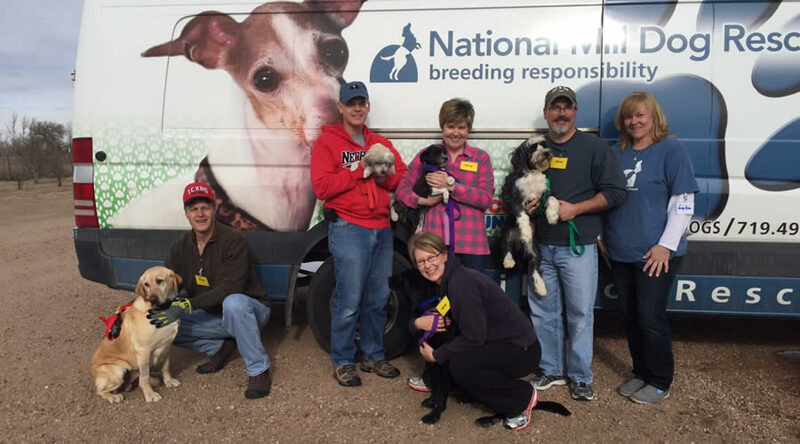 USfalcon shows its commitment to Service by providing each of our employees one day of leave to be used in support of a certified non-profit organization. Come inside to learn more about how USfalcon and our employees give back. 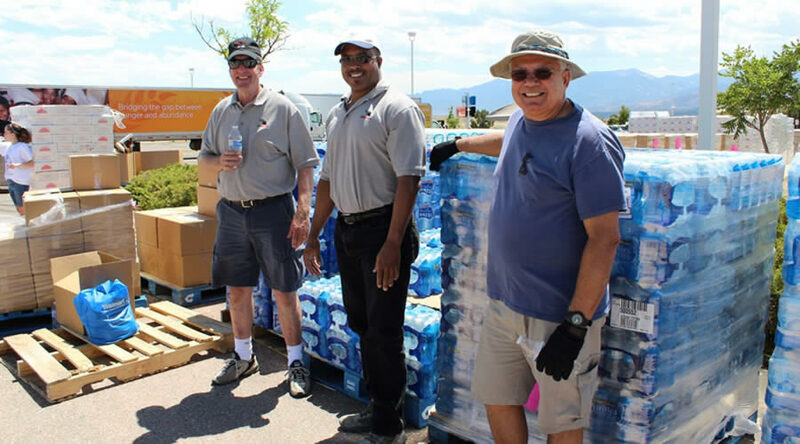 After the devastating Black Forest Fire in Colorado Springs, USfalcon employees volunteered for the Care and Share Food Bank of Southern Colorado and spent the day distributing much needed food and necessary items to those affected by the wildfires. 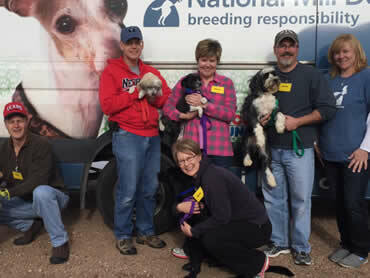 USfalcon team members in Colorado spend the day socializing with and taking care of the dogs at the National Mill Dog Rescue (NMDR). 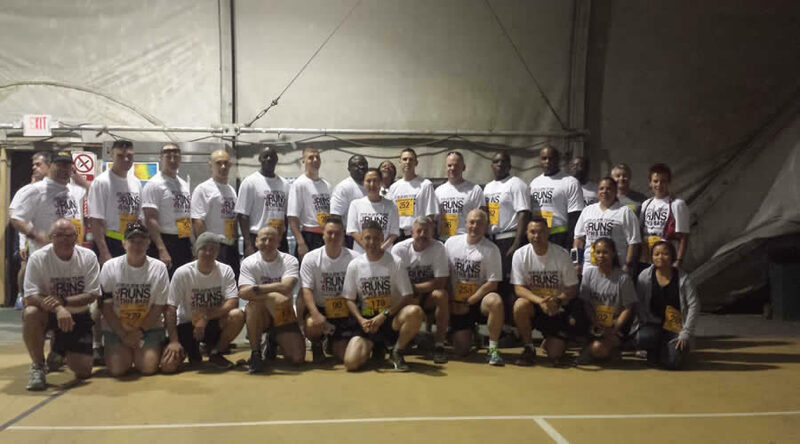 The annual Army Ten Miler (ATM) Shadow Runs are held at forward operating bases in war zones as part of the ATM event held annually in Washington, DC. 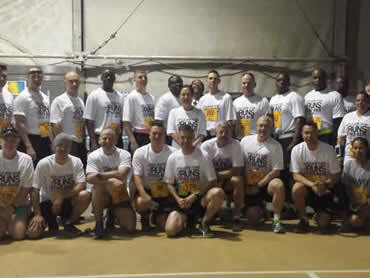 USfalcon sponsored t-shirts for team participants at Bagram Airfield, Afghanistan (which included our own Jeff T.). 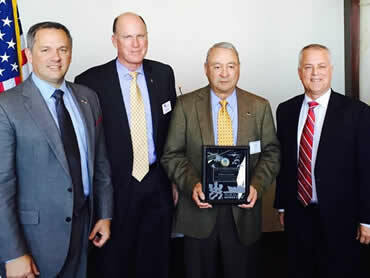 CEO, Zannie Smith (center), accepts a plaque in recognition of USfalcon’s support of the NC Heroes’ Fund. 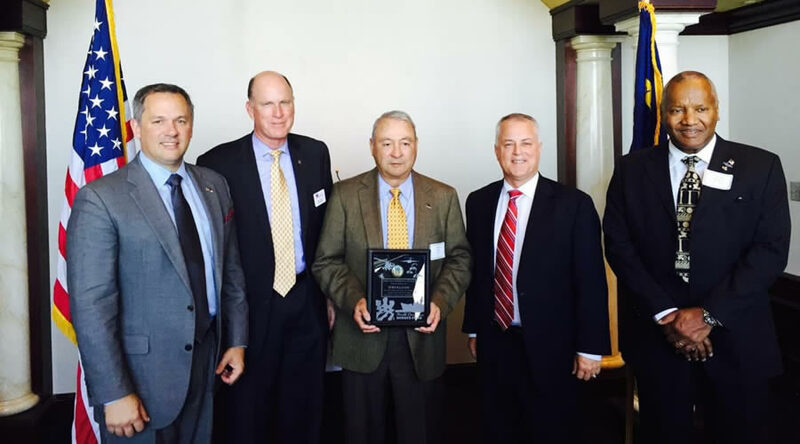 The Heroes’ Fund is a local non-profit whose mission is to improve the quality of life for military men and women of NC and their families who are experiencing financial hardships. USfalcon employees present a check to Care and Share; a non-profit organization whose mission is to provide food, partnering opportunities, and education to combat hunger and food insecurity in Southern Colorado communities. The money raised by USfalcon employees at the Colorado Springs holiday party was matched by USfalcon. 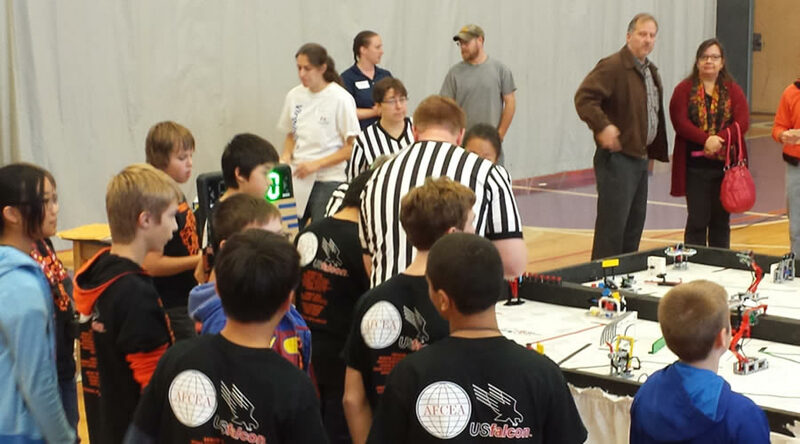 USfalcon sponsored First Lego League (FLL) Team "Tigers A.I." received the Judges Award at a regional tournament recognizing the team for fantastic Cooperation, Gracious Professionalism, and all around positive spirit towards their project and robotic missions. 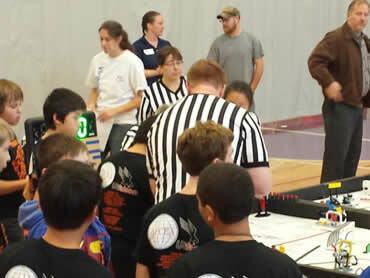 The FLL program helps kids ages 9-14 develop both STEM and 21st century skills.